Your wedding day is a momentous occasion, and whether you’re the bride or groom, you want everything to be perfect. 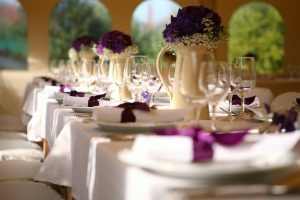 You spend months planning everything from the guest list to the catering, and when the big day finally arrives, hopefully you’re able to take a deep breath and enjoy it. At Lumen Lighting, we would love to be a part of your wedding day, and with our professional lighting services, you can create a beautiful atmosphere that you and your guests will absolutely love. 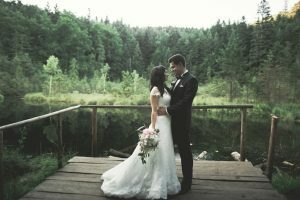 You may be having your wedding ceremony in a church, in a park, or in another special venue that holds significance for you and your soon-to-be spouse. If you have plans for certain decorations or colors for the ceremony, we can incorporate those elements into our lighting design. We will work within the given space, adding lights and drapery to transform the venue into an immaculate spot that has the ambiance you’ve always dreamed of when you thought about your wedding day. It doesn’t matter how large or small the venue is or if it’s indoors our outdoors – our team understands how to approach each space and get the most out of it. The reception venue is where you and your guests will be spending the majority of your big day. The ceremony may last somewhere from half an hour to an hour, but if you’re having dinner and a dance afterwards, chances are you’ll be at the reception for a few hours at the least. You want everyone to be comfortable, and with our lighting design, you can set the mood for an elegant evening that no one will want to leave. We can focus the lighting where it’s needed most, such as over the head table or the dance floor, and we’ll make sure the levels are perfect so that people can see where they’re going and enjoy intimate conversation with friends and family. Our mission is to create the perfect wedding lighting for every customer who hires us, and if your special day is coming up in the near future, we’d love to speak with you about what you have in mind and how our services can benefit you. Your design doesn’t have to be expansive or elaborate, and even the simplest placement of strand lighting can transform a space from an ordinary venue into an incredible setting for your ceremony or reception.